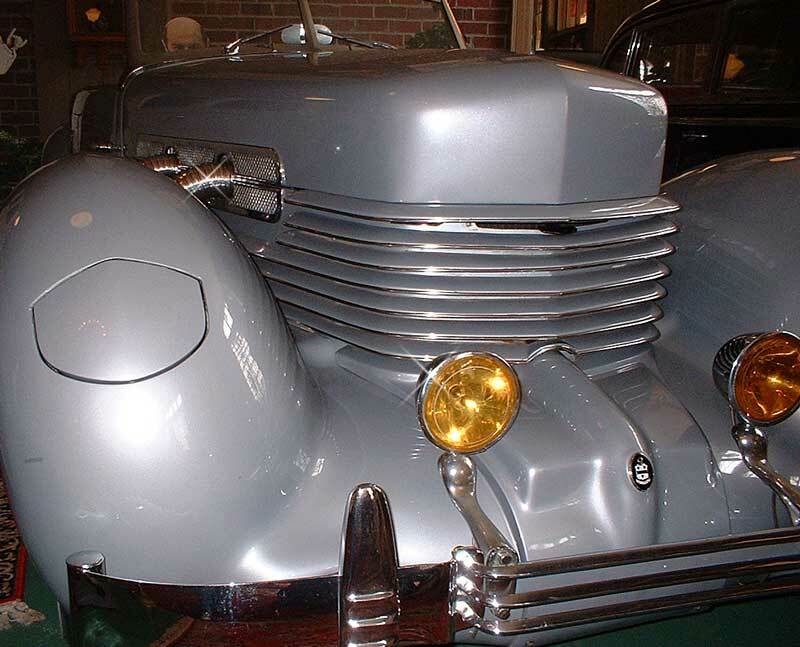 The Cord was the first production automobile with front wheel drive, unit body construction, and disappearing headlights. Interestingly, the lower outside corners of the dashboard feature small hand cranks. 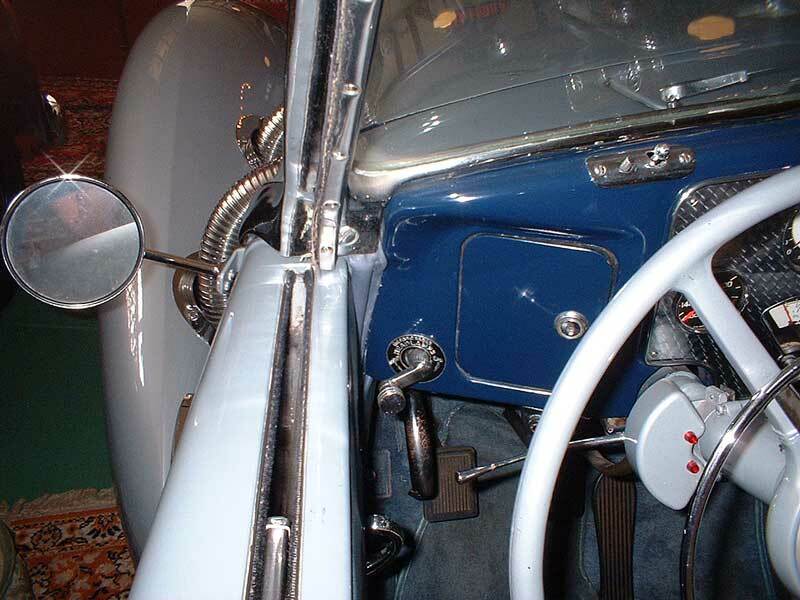 These cranks were used to manually open and close the disappearing headlights. Each light had to be cranked out individually. This is one of only 196 of this model built. 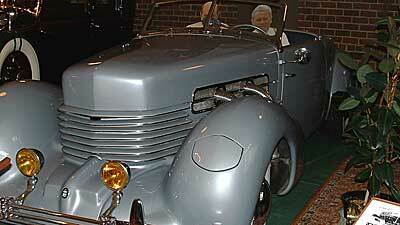 It is the lowest, sleekest, fastest, and most futuristic American car produced and sold during the 1930s. This vehicle boasted a 130 mph top speed straight from the factory. 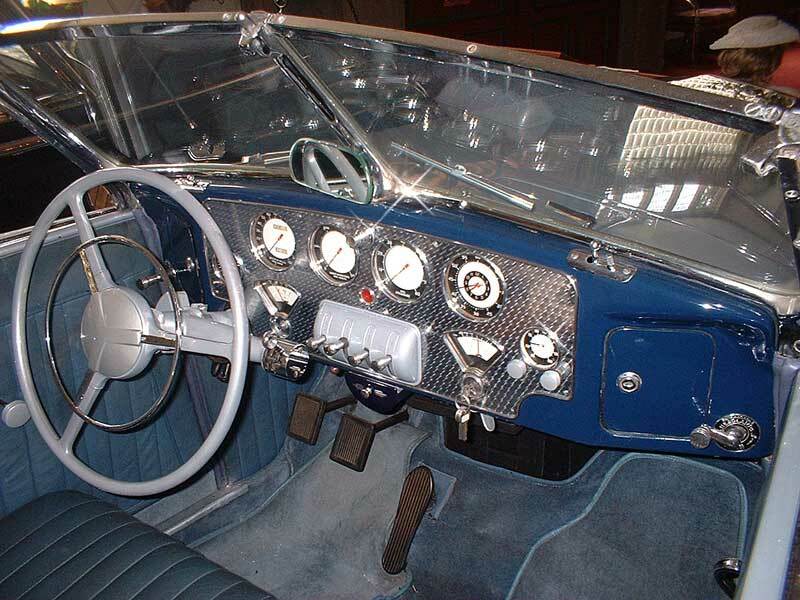 Powered by a supercharged Lycoming V-8, an advanced design pre-select electro-hydraulic transmission transferred the power to the front wheels. This car was--and to many, still is--considered an automotive tour-de-force. 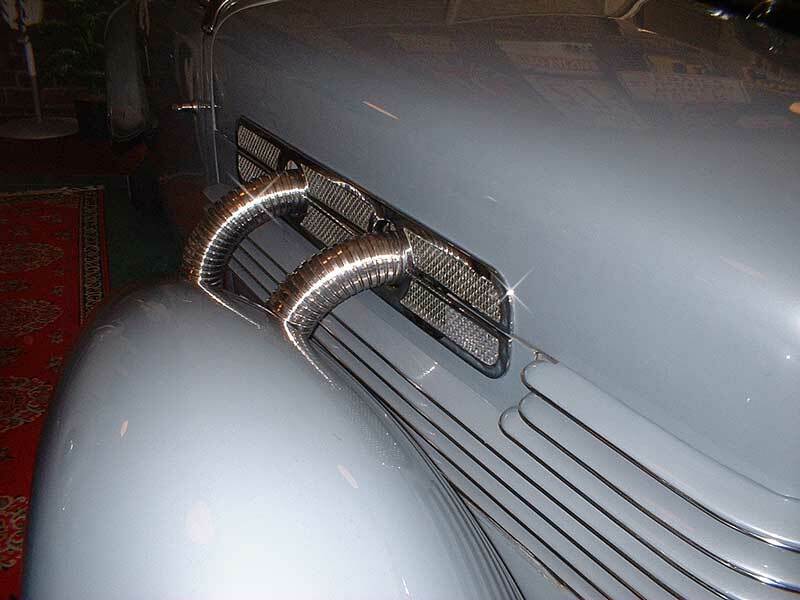 Designed by Gordon Buehrig, the lines of this car epitomize the essence of the Art Deco movement.